To us functionality is just as important as appearance. 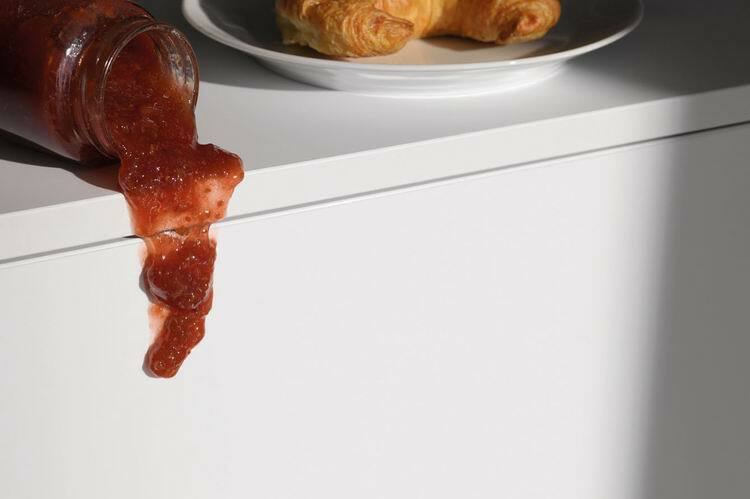 Our kitchens have many practical, flexible and aesthetic solutions to work for you. 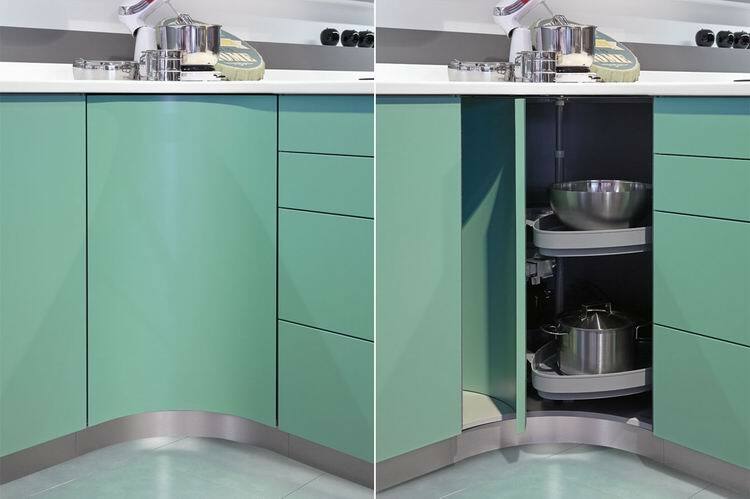 Below are some examples of the design flexibility we can offer when designing your kitchen. 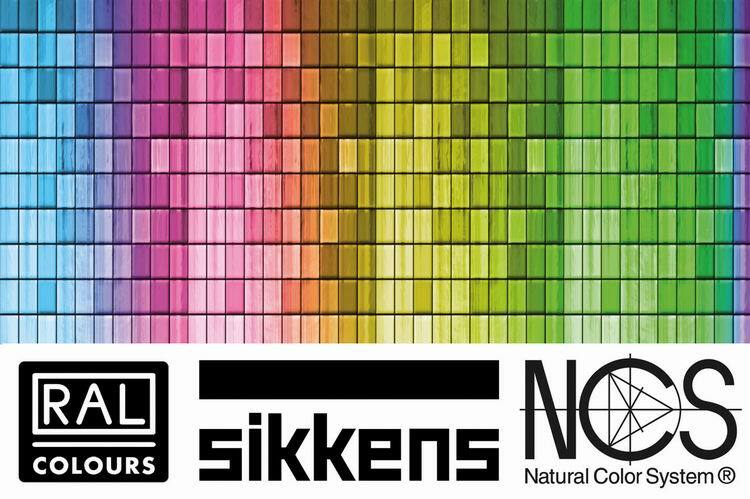 For more information please call us or visit us in our showroom. Unit doors can be extended down to the floor to conceal the plinth. 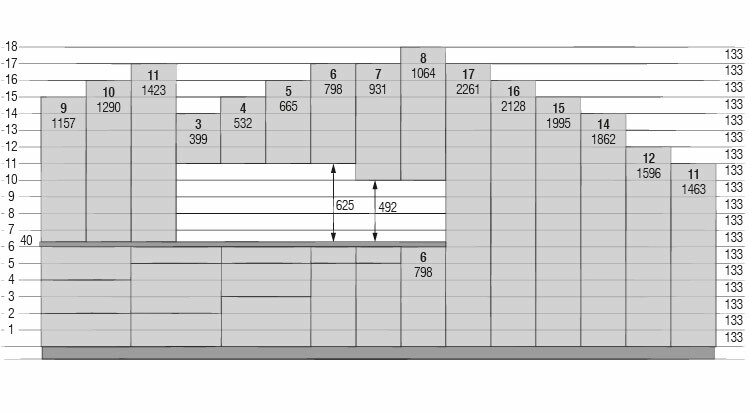 A joint distance of only 3mm horizontally and 4mm vertically on units gives a very uniform joint arrangement and dispenses with filler panels. 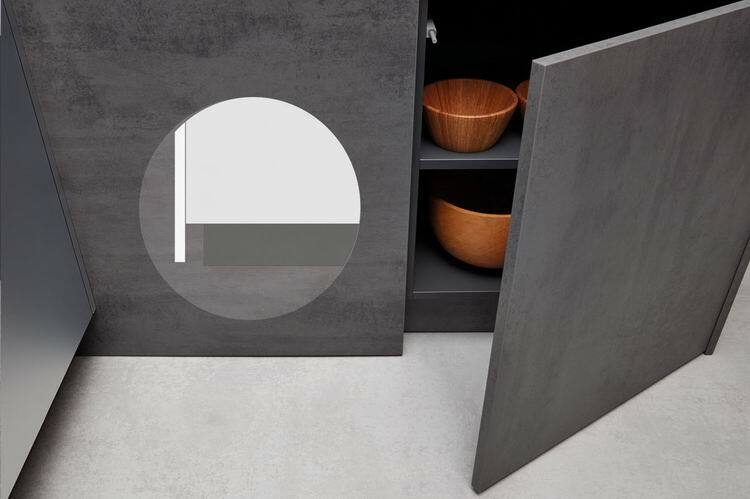 Pocket doors slide almost silently out of the way to reveal storage inside. 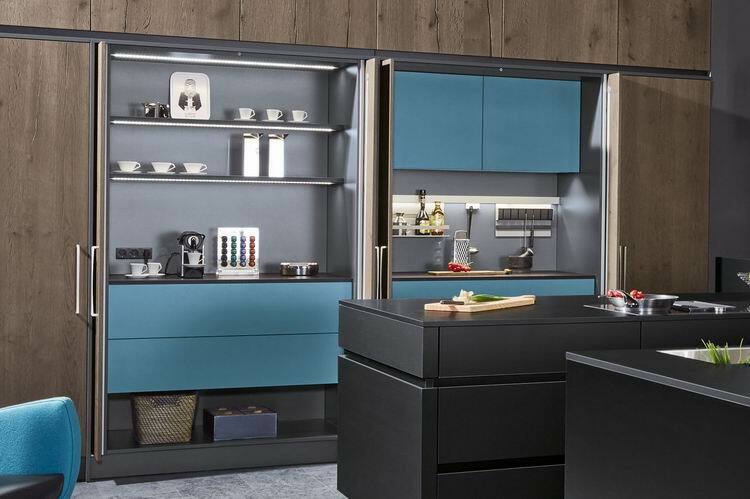 Not only do they tuck away discretely they increase the usable space within the kitchen and open to reveal the function inside such as a coffee bar with interior lighting and perfectly fitted pull-outs. 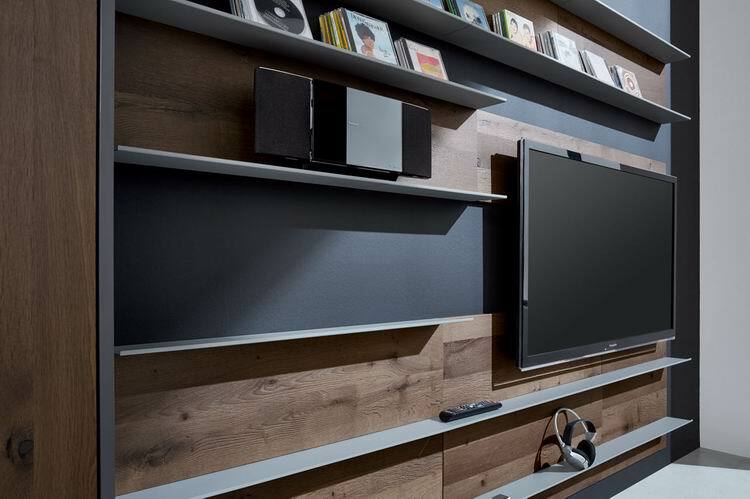 Sliding doors provide a mixture of display and storage options for a unique look. 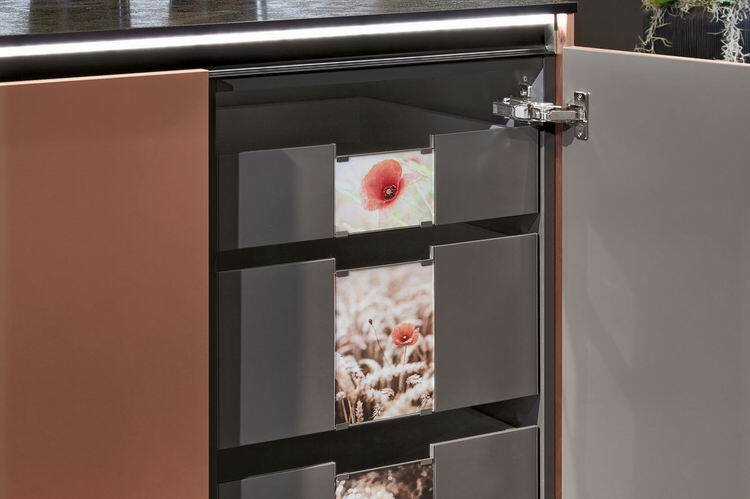 Turning stocking up into pleasure: The elegant internal organizers can slide out from the carcase if required and allow access from 3 sides. It can handle even heavy loads with ease as well as being equipped with SoftSTOPP technology. In many models there is the option to choose your front edging from a single colour, wood effect, stainless steel or glass. Carcass edging is also flexible to tone in or deliberately accentuate. The ‘My Home’ product ranges gives a seamless transition from kitchen to living. The range include stand alone furniture, integrated seating and display cabinets, all in top quality materials. 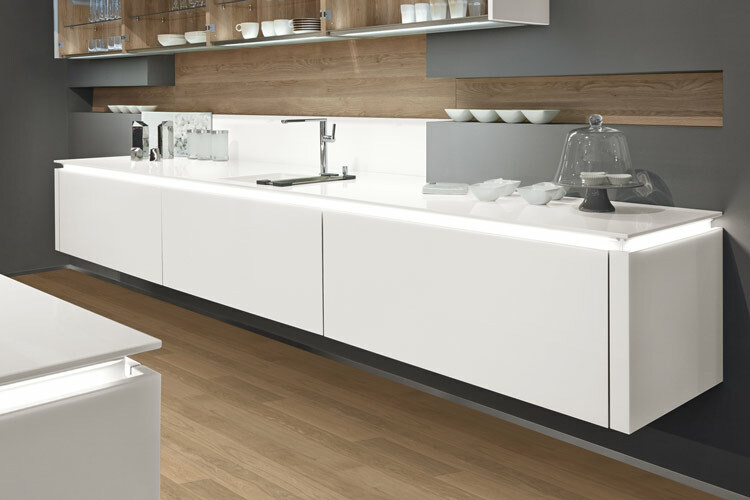 The ‘Stile System’ gives the ultimate flexibility for kitchen and living areas. Designed with your way of life in mind. 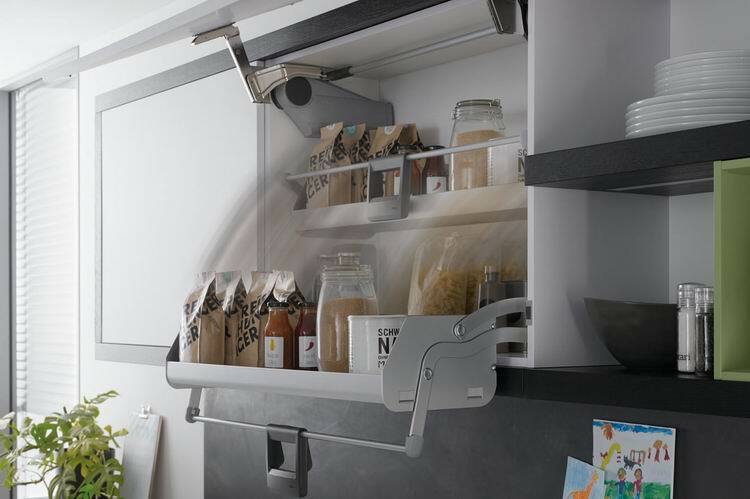 The multi-functional profile of Linero MosaiQ can be suspended or attached. 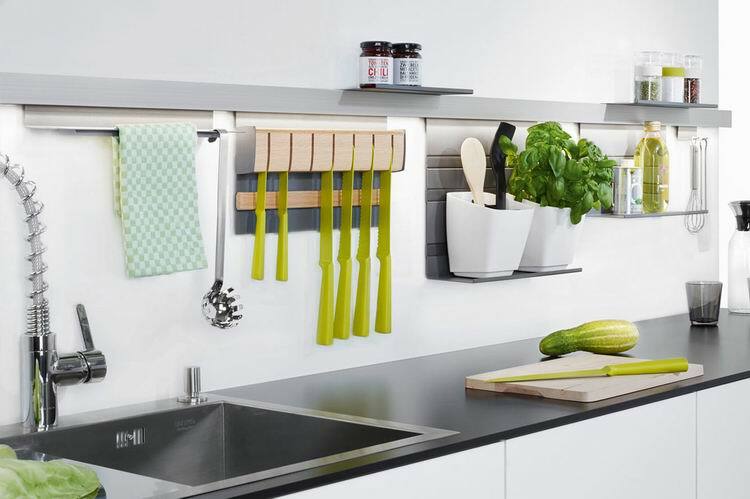 Various elements can be added to the profile such as shelving, roll holders, hooks and sockets. 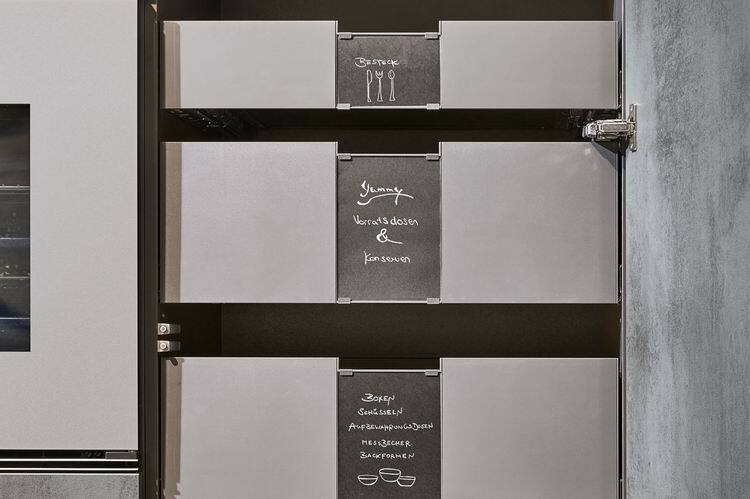 Beckermanns Vario panels give the opportunity to insert your own photos or labels to show what’s inside the drawers. This new innovative product won Beckermann the ‘Award Winning Kitchen Product of the Year’ for 2017. We can supply concave or convex units and wave corner units. 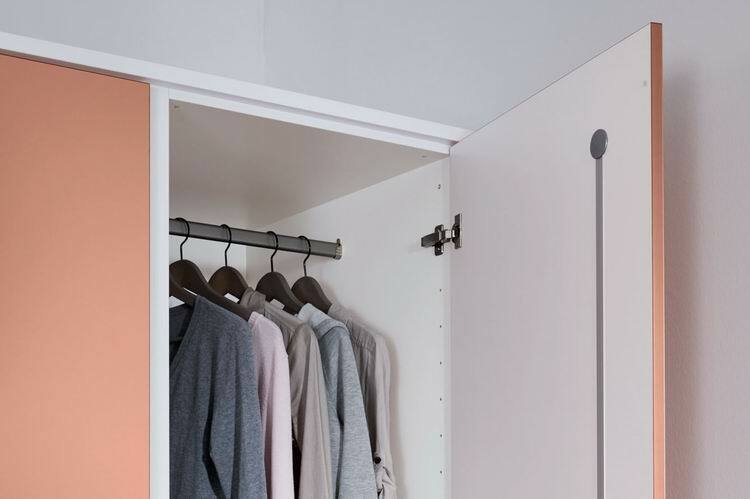 All have clever storage solutions to maximize space and functionality. 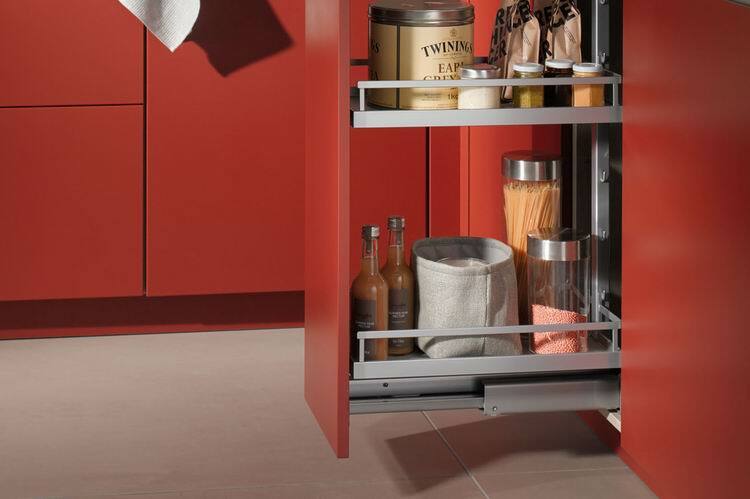 All storage requirements are catered for with pull-out larders and swing pull-out larders, giving an instant view and access from both sides. 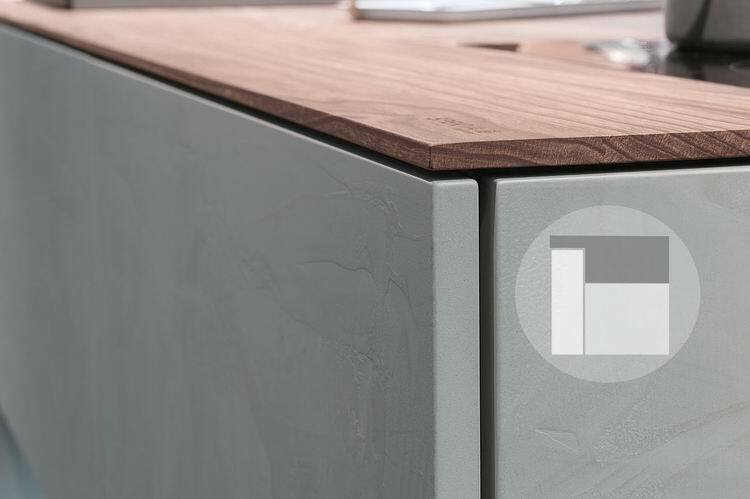 Wooden worktops can have rebates to give the appearance of a sleek, delicate worktop with the hidden solid thickness to cope with all stresses. 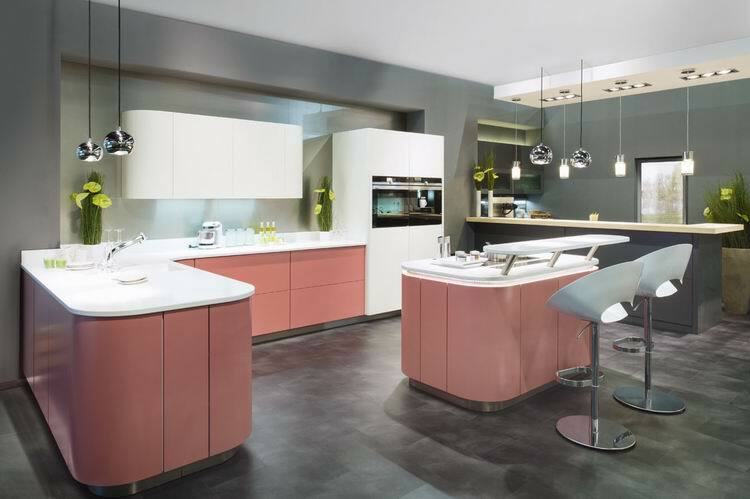 We can supply lacquered kitchens in matt and high gloss, in more than 1100 colours. Recess shelves give great flexibility. 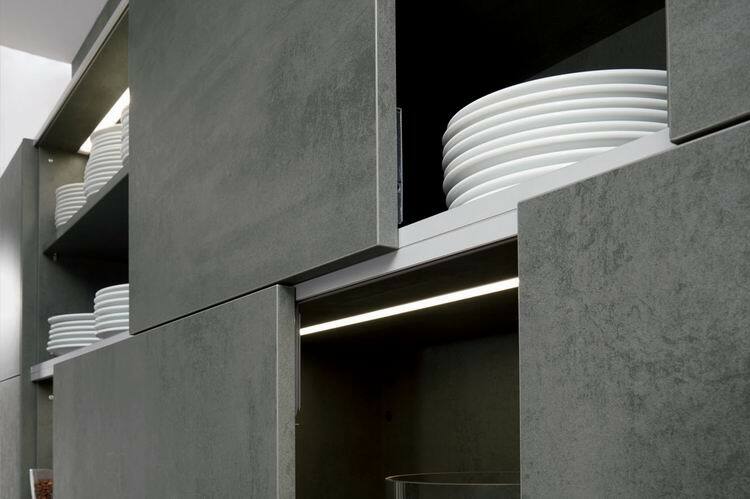 The back panel comes in titanium grey and the shelves can be selected in a wide variety of colours and finishes. 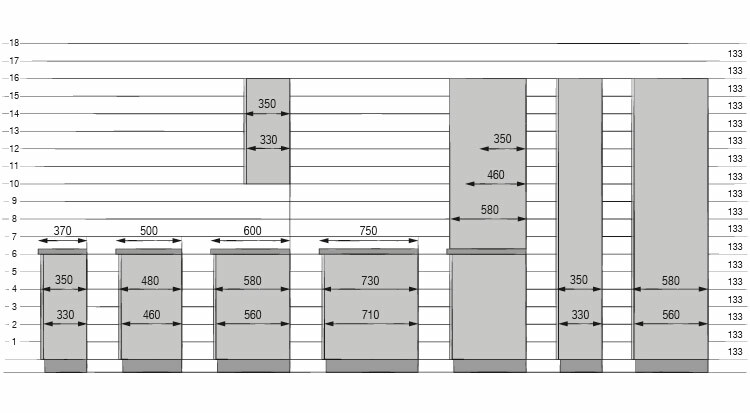 Almost all doors have flexible dimensions. All over sized tall units have a rear routed door clamp for stability. 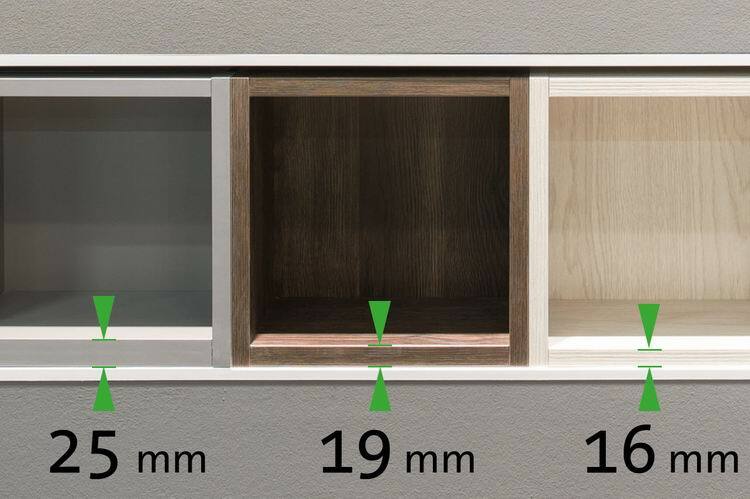 Your base shelf can be selected in a 16, 19 or 25mm thickness. 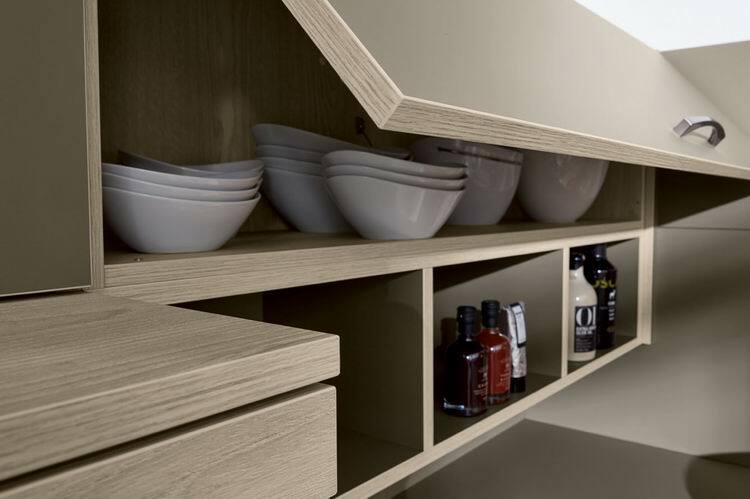 Bottom shelves in the wall units can also be fitted flush with the wall on request. 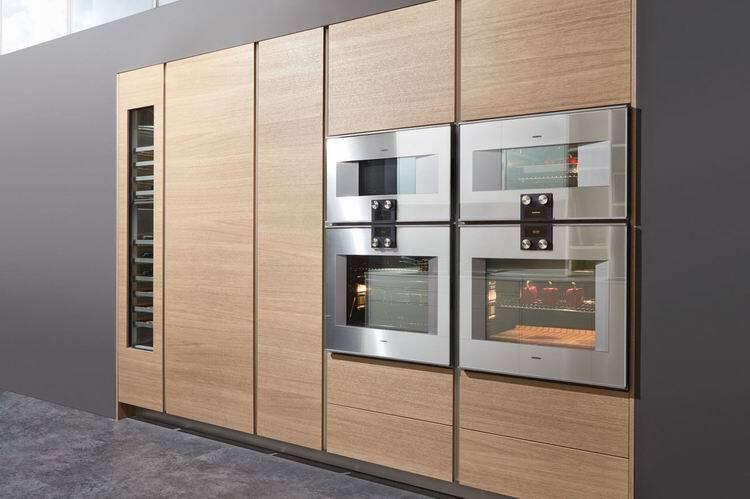 If required appliances can be installed at eye level, our made to measure manufacture makes almost anything possible. 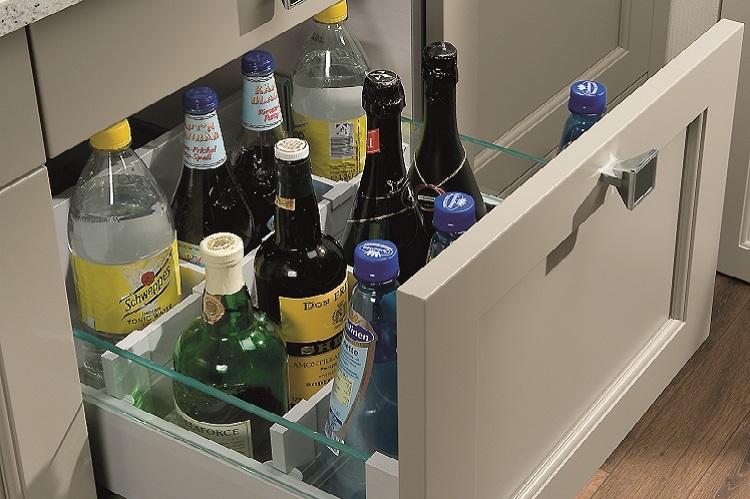 Even excess width and depth appliances like American fridge freezers can be accommodated. 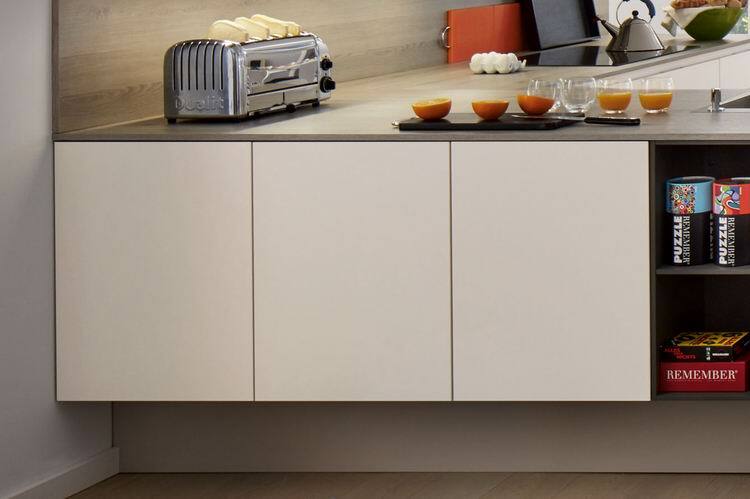 Our Xtreme super matt doors make fingerprints and greasy marks hardly visible, recommended by families with children. Base and tall units can be freely suspended with heavy duty fixings. 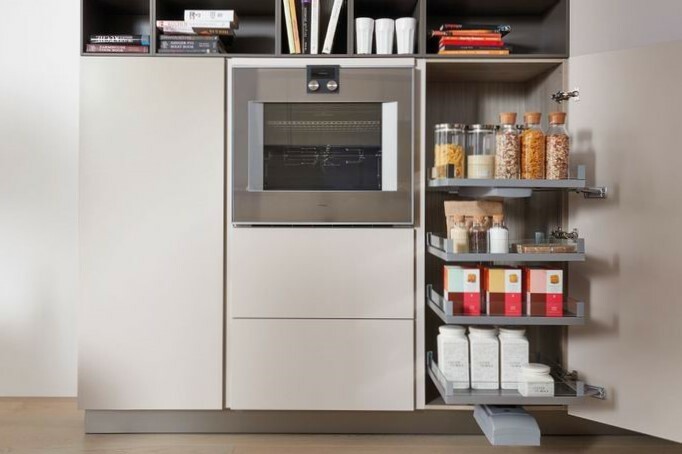 The I-Move provides instant access to supplies that are kept at the top of the cupboard. Simple to operate and more rapidly accessible.